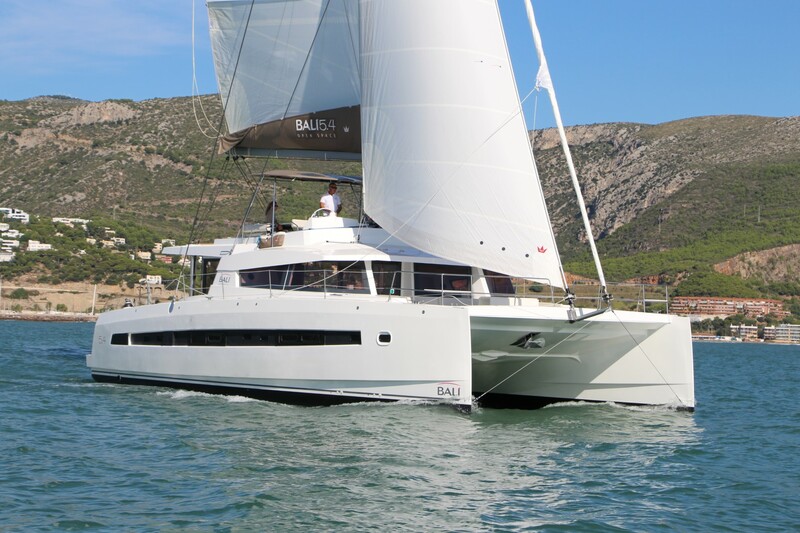 Hanse Yachts management decided to create the successor of the smallest yacht in their range – Hanse 315. So the renowned naval architects studio Judel/Vrolijk & Co. has been chosen again to create Hanse 325. 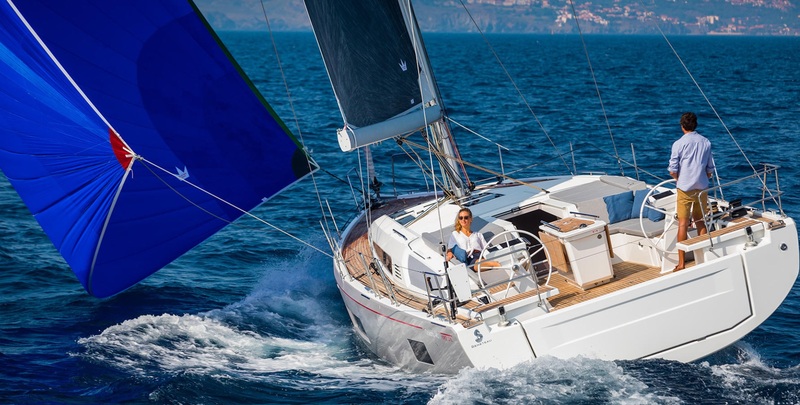 It is a classical Hanse yacht refreshed with some novelties which became standard on bigger Hanse models. Although it is a small boat, which length over all amounts to 9.62 m and beam of 3.30 m, the designers managed to put her external lines in an elegant harmony. The cockpit is rather small, with pedestal equipped with a single steering wheel, GPS plotter, compass and engine commands. The transom is foldable so it can provide easy access to the small swimming platform at the stern. Trimming the sails is easy, even for a single person thanks to a self-tacking jib system while other trimming controls are put nearby the pedestal. The power of the engine is 18 HP which is just enough for maneuvering and short distance motoring. 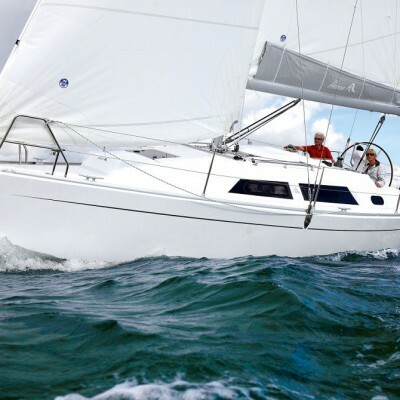 The fuel tank has a capacity of 90 l while fresh water tank holds as much as 240 l. Considering her purpose – coastal and lake sailing; Hanse 325 is available in two options regarding the keel which draft ranges between 1.53 m and 1.84 m.
The interior is also organized in a simple way but comfortable enough for a crew of four. They can be accommodated in two cabins with two double beds. The galley is rather small and there is just enough space for small dining table, navigation table and two sofas in the saloon. However, there is a spacious storage astern, which proved to be very useful on such a yacht. I am sure that small yachts such as Hanse 325 should not be underestimated only because of its size.